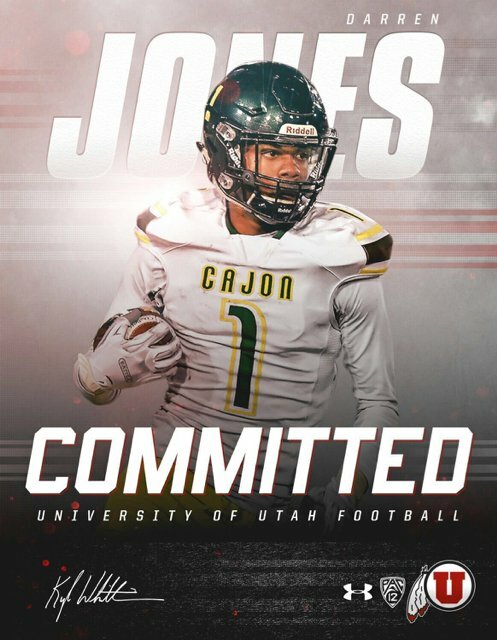 Utes grab commitment of 4* 6’8” wide receiver. Which is great in and of itself, but he’s also high school teammates with 4* Elite 11 QB Jayden Daniels, who is also strongly considering Utah. 6''8'!!!!! He's bigger than most of the guys on the basketball team. Utah reviving the two sport star would be great PR. Last edited by sancho; 08-21-2018 at 10:27 AM. he has a basketball offer from UW. Had football offers from Georgia and Florida, and a basketball offer from Washington. Jayden Daniels will be visiting Utah with his parents on their dime for the USC game. Harding seemed pleased with this on Twitter. Onlyu reporting that Tuttle will transfer. Hope that means we are getting Daniels. Watch Tuttle transfer and Daniel's ends up at CAL. That would be such a Utah football thing to happen. What? Man, that's bad news. Tuttle seemed like he really wanted to be here. Has something changed? My theory is that Troy Taylor wants an RPO QB and based on the last 2 games he's bought in with that style. Jayden Daniel's is his recruit, runs a RPO and Tuttle is the square peg that suddenly doesn't fit into the round hole. square peg that suddenly doesn't fit into the round hole. That's crazy, though. You make adjustments to the offense depending on the QB. I haven't seen anything in the past two games that indicates we need a duel threat QB in order to be successful. What is this theory? Is the theory that Taylor has told Tuttle to go? Or is this theory that Tuttle is getting panicky because Huntley had two decent games in a row? I can't believe Taylor would tell Tuttle to go. The man has been around long enough to know the value of a good QB. The theory would be that Tuttle sees where we are (Huntley), sees where we’re trying to go (Daniels) and realizes that he’s not the style of offense. Yes, you tweak the offense to match your guys, but mostly you go after guys that match your offense. This is a concept that’s unfamiliar to us, because we’ve chewed through so many coordinators the last 10 years. This gives me hope of signs of stability. So it's a "Tuttle is panicking" theory. I would assume he would talk to coaches about style and that they would reassure him. An offense that is not capable of being flexible around personnel is not going to be a successful offense. Also, what does Tuttle see in Huntley that makes him scared? Huntley has been alright, but he's hardly lighting it up. If I'm Tuttle, everything about this season is making me feel good about my chances. We run some option with Huntley, but it's not a pillar of the offense or a necessary cog. If anything we'd love to go downfield more often but feel like we can't. Last edited by sancho; 10-17-2018 at 10:38 PM. Tuttle originally committed to ARod but then stayed committed to Taylor (and Taylor to him) after the OC change following the 2016 season. It's not like both sides didn't have tons of time and data to evaluate the fit before Tuttle signed his LOI. If that theory is true then somebody did not do their job. He seemed like a good kid. I hope things work out well for him. "I'm a well wisher, in that I don't wish him any specific harm." Seriously, I don't want him to be a successful QB somewhere. That would not be good for us, and I want what's good for us. I do want him to have a wonderful life, though. The QB transfer thing is an interesting gamble. One week ago, Arizona went from entrenched starting QB to 3rd string QB in a matter of 10 minutes. Ten months ago, Alabama went to their freshman backup QB in the middle of a pretty big game. Utah has made numerous mid season switches in the Whittingham era for both injury and for performance. On the other hand, what's his name at Wazzu transferred into a great situation. But he was a starter already. Troy Williams eventually became a starter at Utah after bailing on UW. I wonder which route has a higher probability of starting for a P5 program. With the way things are now you could almost fill your needs at QB by bringing in transfers or grad transfers every year. That would be a great plan for Wazzu. Such an easy sell. Come throw 70 times per game and rack up 5,000 yards. Any backup QB in a RPO offense needs to realize he isn't that far from the field. As mentioned the AZ game is a perfect illustration of that. I’ve seen some allusions to getting a commitment last night from Daniels, but haven’t seen anything solid. I can’t think of a more perfect night to have a recruit visit, with the weather, atmosphere, and team performance. 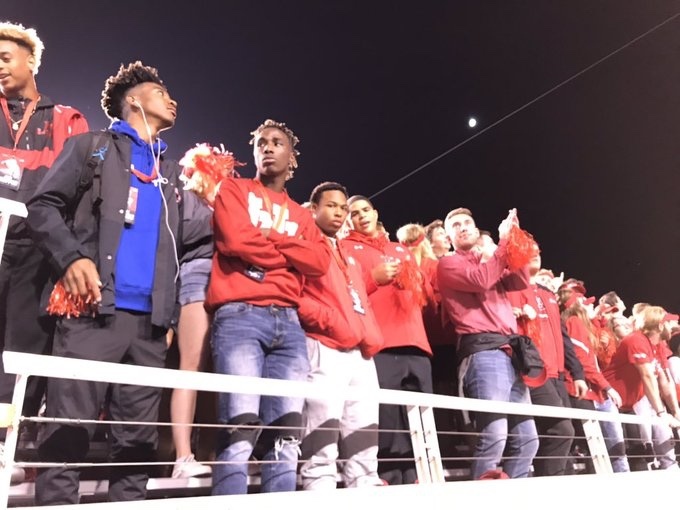 Jayden Daniels and Aaron Rowe in The MUSS during the USC game. I think people are confused. He tweeted yesterday that he was committing to play in the Under Armour All-Star game after the season. A number of national recruiting folks put in crystal ball predictions of him to utah in the last couple of days. Last edited by Dwight Schr-Ute; 10-23-2018 at 11:03 PM.